Much like the triumphant processions of war-weary soldiers bearing the fruits of their victories home to ancient Greece and Rome, the march of Pine Processionary is a thing of great beauty, strength, and gore. 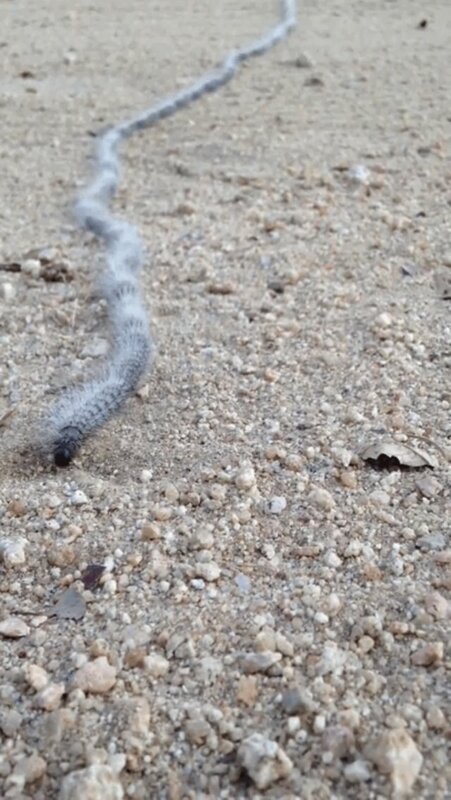 Here's what happens: the Pine Processionary caterpillar (which will one day blossom into a large, hairy moth) abandons the tree that's served as its host in search of a new site to deposit its pupae in the soil. 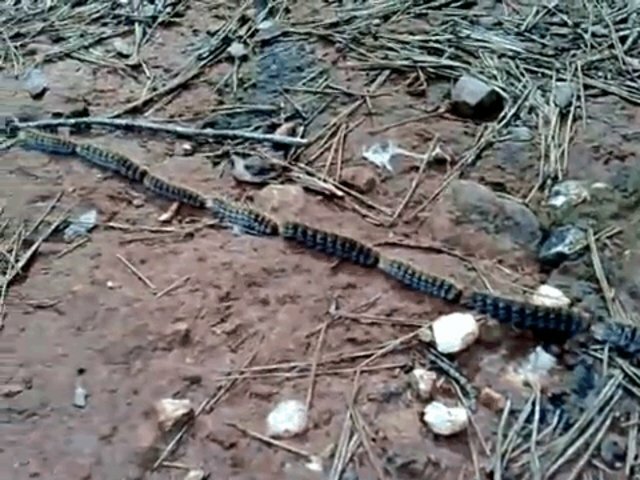 All of a sudden, as many as three hundred caterpillars converge, lining up head to tail. 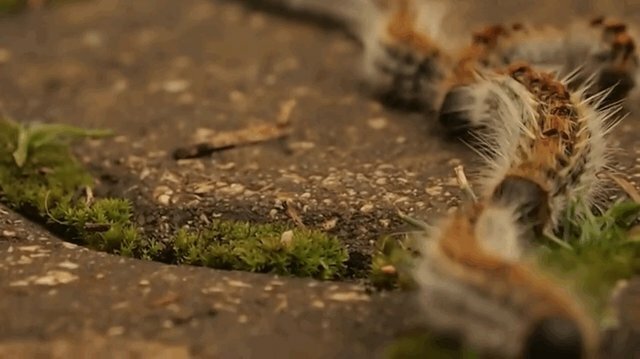 As they walk, the caterpillars lay down a pheromone trail secreted from their abdomens, paving the way for others to follow. 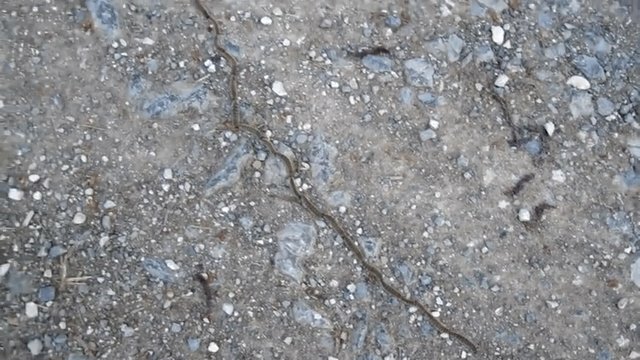 They can actually tell -- and prefer -- to follow trails with larger numbers of caterpillars. They keep close behind the guy in front, using hairlike structures attached to the tips of their abdomens to know which way to go. 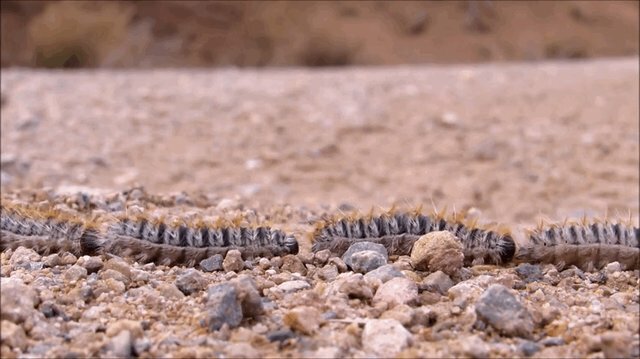 Though they may look like harmless followers, the caterpillars are anything but docile -- like spikes on the armor of an ancient fighter, they are supremely protected by a set of hairs that cause severe irritation to anyone who touches them. The larvae can even eject their hairs when threatened, creating tiny harpoons that lodge in nearby flesh. Soldier on, warriors.